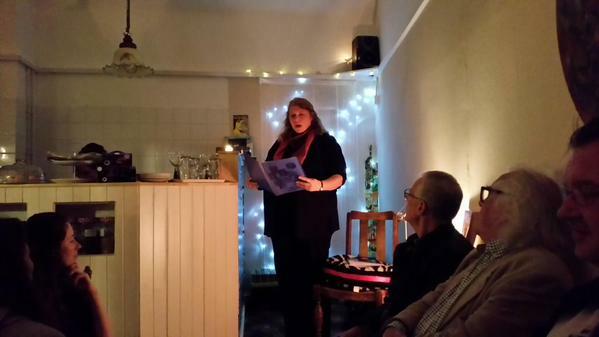 Just a quick thank you to everyone who turned up last Friday night to the Record Break Café in Ennis for Poetry Corner readings by myself and Donal O’Conaill, & music and song from Emer O’Flaherty. I really appreciated the reaction to the poems. Some were new poems on their first night out; they were very shy. Now, my lovelies, you should go to Sinéad’s café when you are next in Ennis. The coffee is stonkin’ and the chocolate & caramel cake looks divine. I’m heading back there soon for a slice. In other writing matters – I’ve just posted a blog about the Walter Macken centenary. You can click on ‘blog’ above, or here. I’d be glad to get your comments.